Diameter Signaling Controller Use Cases. 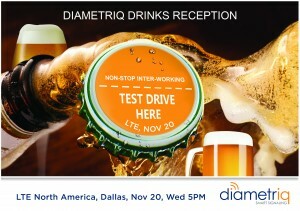 Meet with Diametriq at LTE America 2013 at the Westin Galleria in Dallas, Texas and learn about the latest advances in LTE interworking and roaming. Anjan Ghosal, Founder and CEO for Diametriq, will be speaking on Wednesday, November 20 during the Signaling Focus Day on “Bridging the Generation Gap – Interworking between 3G, 4G and More!“ That evening Diametriq will be sponsoring the Drinks Reception where all attendees are invited. 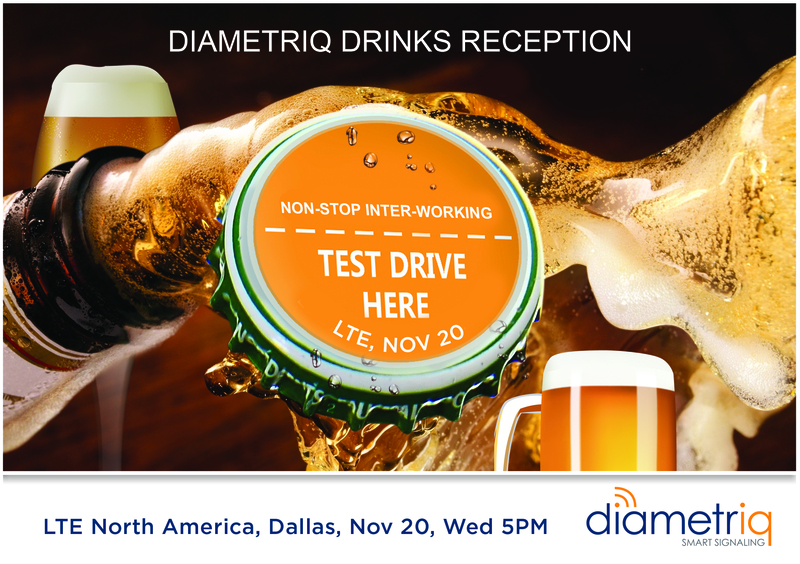 Diametriq will also be exhibiting on November 21 and 22 in Booth 17, where we will be offering demonstrations of the Diametriq Diameter Interworking System™ and the Diametriq Edge Appliance™ in a live LTE roaming scenario. To arrange a meeting at the LTE North America 2013 or to learn more about Diametriq solutions for LTE signaling, please send an email to sales@diametriq.com or click this link: Request a Meeting. Built on the assets of IntelliNet Technologies, a wireless solutions company founded in 1992, Diametriq® offers high performance LTE signaling solutions to meet the needs of LTE network operators. The company’s standards compliant Diameter Routing Engine™(DRE) includes a Diameter Routing Agent (DRA), Diameter Edge Agent (DEA), a Subscription Locator Function (SLF) and a Diameter Interworking Function (IWF).